When a UX industry friend heard I had agreed to chair the Interaction Awards jury, he was startled because he knew I generally don’t think highly of awards in our field. That’s because the work we do is so highly dependent on context—not only the context of use, but the cultural context of the organization building the product—that it can’t truly be judged as better or worse than other work. Can you say that a slick, futuristic project that doesn’t get built is “better” or “worse” than a boring or slightly flawed design that makes it into the hands of users? Could you decide whether it’s more innovative to create an integrated software/hardware/service experience from scratch…or to make something amazing out of pieces that already exist? Can you judge a game against a hospital system? No. It’s an impossible task. Thankfully, that’s not our task in the Interaction Awards. The program’s co-chair, MJ Broadbent, says the Interaction Awards are about “creating a legacy” for the community. Your lessons learned may help another team solve their own problem. Your victories may give a downtrodden colleague hope that great things are possible. Everyone who looks at the entries will walk away with a broader understanding of what interaction design is and how designers can improve peoples’ lives. 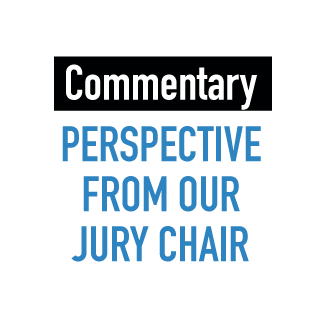 Yes, the community and the jury together can highlight only a few of the projects we find most inspiring, educational, or indicative of the future. But as far as I’m concerned, you win—we all win—the minute you enter.